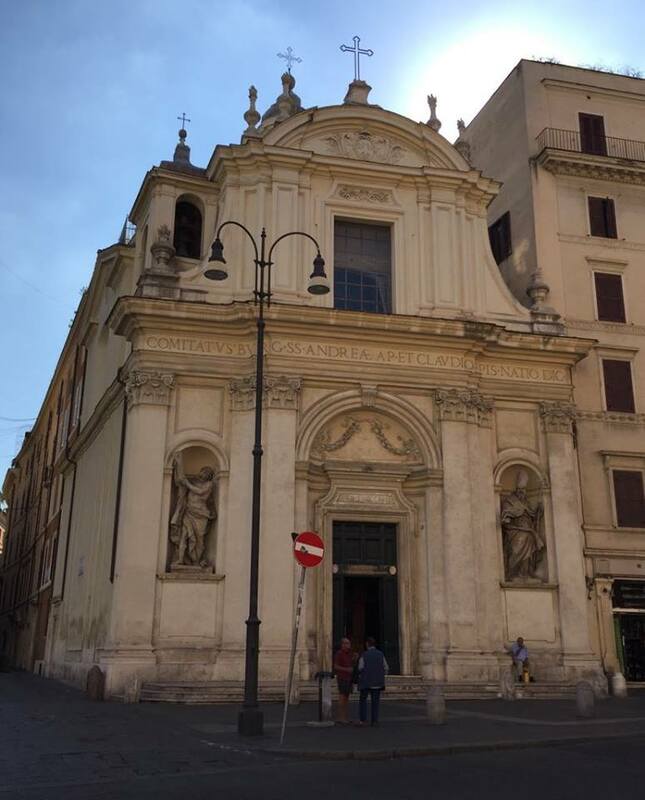 The late-Baroque church of San Claudio is on the right-hand corner of Piazza San Silvestro. The church is one of the national churches in Rome dedicated to the French and was built between 1728 and 1730. The statues in the niches on the facade of saints Claude and Andrew the Apostle date from 1771 are by French artists, Luca Brèton and Guglielmo-Antonio Grandjaquet. Inside the church are altarpieces by Placido Costanzi, Jean-Francis de Troy and Antonio Biccierari.